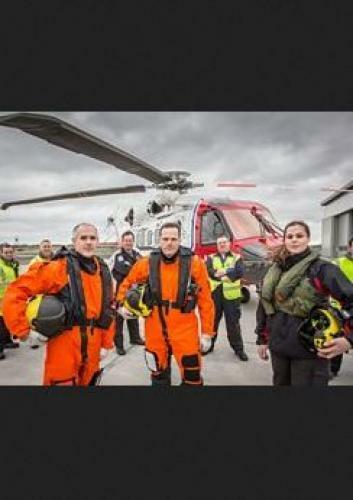 When will be Skies Above Britain next episode air date? Is Skies Above Britain renewed or cancelled? Where to countdown Skies Above Britain air dates? Is Skies Above Britain worth watching? Skies Above Britain continues with stories of the extraordinary challenges of the skies, both at NATS - the UK's air traffic nerve centre -and up in the air. At NATS, air traffic controllers guide a passenger jet with a major technical fault safely back to the ground and respond to an unidentified flying object detected on the radar screens. The biggest air race in the world is taking place at Ascot and British Airways captain Paul Bonhomme, who is also one of Britain's fastest race pilots, is out to win the title for a second time before retiring. The aerial slalom course is high risk, with pilots flying at speeds of up to 230mph, metres above the ground. Stefan is a YouTube video blogger with a new camera-drone, which he has bought to make his videos stand out. After an ill-advised flight in central London, he discovers to avoid arrest he must undertake special training. Lynne is terrified of flying and hasn't boarded a plane in 17 years. Now she must overcome her fear and brave a flight to Australia to honour her late mother's wishes to have her ashes scattered there. Ross was told he could never become a pilot because he has restricted growth but now, at 31, he is setting out to prove the doubters wrong by learning to fly. A look at the hidden world of the skies above us and the stories of the people who spend their life in flight. For thousands of recreational pilots, uncontrolled airspace is a place of freedom and adventure. Al Coutts and Willie Cruikshank are the Wildcats, two former RAF pilots who perform aerobatic stunts at air displays across the UK. With several recent tragedies at air shows, Al and Willy must finish their display season safely. Julia Foxwell is a champion skydiver who is juggling motherhood with an intense training schedule. Pete Dolby has been flying balloons for over a quarter of a century - now he is attempting to fly Britain's first solar balloon, powered using just the sun's energy. Elsewhere, Ady Dolan, NATS air traffic controller at Heathrow, works the most congested and highly regulated patch of sky in the UK. A look at the hidden world of the skies above us and the stories of the people who spend their life in flight. Racing champion Martin is preparing to compete for the Schneider Trophy, where 14 pilots will fly wing to wing around outlying islands in Alderney in the Channel Islands. Cargo pilot Mark flies solo from the Isle of Man to Dublin to East Midlands daily in his Piper Navajo plane, delivering anything from fresh flowers to human remains. His schedule is so tight that even during bad weather he must cross the Irish sea. East Midlands Airport is the cargo hub that connects the whole of Britain to the world beyond. A hundred and fifty thousand parcels run through DHL's warehouse each night. Graham, a senior sorter, must make sure his team can respond when a crucial conveyor belt breaks down, while senior loader Tony works against the clock to load thousands of parcels onto cargo flights. At NATS, bad weather grounds planes and dangerous wind sheer causes pilots to abort landings. A look at the hidden world of the skies above us and the stories of the people who spend their life in flight. The job with the highest pressure at NATS is keeping everyone safe entering or leaving London's airspace, one of the busiest patches of sky in the world. Up to 4,000 people can be in the hands of just one controller at any one time. Tom and Tim, two of the thousands who aspire to be the next generation of air traffic controllers, are beginning the rigorous three-year course. For some, the growth in air traffic is too much. Martin Barraud is leading a campaign to stop the narrowing of flight paths and increased noise overhead. Protest group Plane Stupid use direct action to raise awareness of the environmental cost of flying but face a possible jail sentence for taking part in a sit in. Skies Above Britain next episode air date provides TVMaze for you. EpisoDate.com is your TV show guide to Countdown Skies Above Britain Episode Air Dates and to stay in touch with Skies Above Britain next episode Air Date and your others favorite TV Shows. Add the shows you like to a "Watchlist" and let the site take it from there.